We begin our two-part introduction to the 2017 Bears draft class by analyzing their top two picks, QB Mitch Trubisky and TE Adam Shaheen. Andrew Carter, who covers the Tar Heels for the Raleigh News and Observer (_@andrewcarter) joins the show and explains why Trubisky didn't start until 2016 and tells us more about Trubisky's career in Chapel Hill. Kevin and John analyze (and debate) the trade up to get Trubisky, what it means for Mike Glennon and what to make of the Pace-Fox ... See More dynamic. Then Ashland University QB Travis Tarnowski talks about his former teammate and new Bears TE Adam Shaheen ( ). 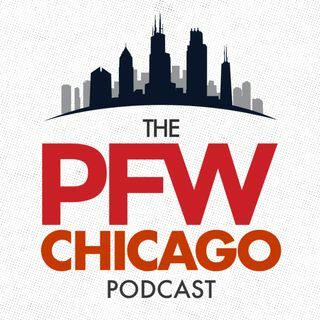 Kevin and John wrap the show with analysis of the Shaheen pick and what it means for the Bears' offense.